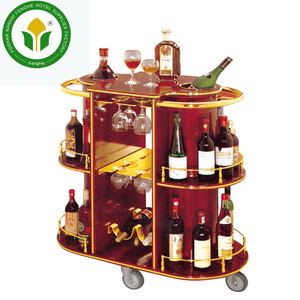 Main Products: Plastic platform hand trolley, Wire Mesh trolley, Heavy loading trolley etc. Q: How can you ensure the quality9 We have a professional team control each progress to ensure the quality. You can order the products later if you feel that is the goods you wanted. 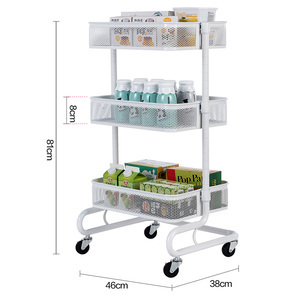 Suzhou Woya Import And Export Co., Ltd.
10F - Zhong Shan 2 Tiers Office Metal Transport Document Trolley , NSF Approval 15 Years Wire Shelving Manufacturer with NSF Cert. 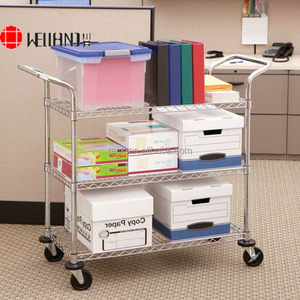 , Exporting to 50 Countries Article: Zhong Shan 2 Tiers Office Metal Transport Document Trolley Item No. 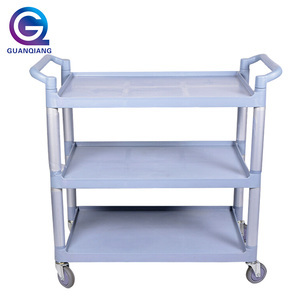 : TR6035105B3CW Specifications of Document Trolley : 1) Dimensions (L x W x H): 600x350xH1050mm 2) Material: a) Rack: carbon steel b) With 3"caster 3) Tube dia. 4. Q: What is the term of payment9 A: As general, 30% T/T down payment and balance before shipping. 5. Q: What is the delivery time9 A: It depends on the order quantity and doner kebab grill machine types. We will send you information and photos at different production stage of your order. Jiangmen Megidon Stainless Steel Co., Ltd.
5. Sample information--simple will be shipped out within one week. 6. Team of designers and engineers could create new items according to personal request. 3. Sample confirmation---sample will be shipped out in 2 weeks in general. ,Ltd is a professional manufacturer of commercial stainless steel kitchen, restaurant, hotel, fast food shop equipment. Our company has advanced laser cutting machine, digital punching machine and digital bending machine. We will do our utmost to provide high quality products and sincere service for each client. AOF1004 3 Tier bathroom Trolley S & F , a professional manufacturer and exporter of iron wire products and the tubing products . i.e. we specializes in producing all kinds of iron wire products and the tubing products . i.e. BBQ tools , Kitchen wire items ,Kitchen Cart ,Shoe Rack ,various kinds iron wire products . For years, TCKW has been exporting its products to other countries, winning international trust and support. In the future, TCKW will continue to do business with its unwavering corporate philosophy. The next step for TCKW is to make an even better stainless-steel producer home and abroad. 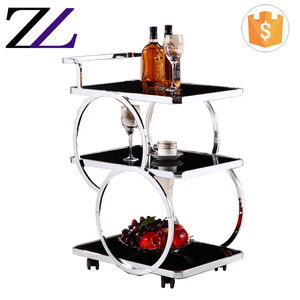 Alibaba.com offers 3,125 3 tier trolley products. 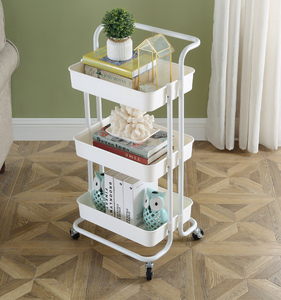 About 20% of these are hand carts & trolleys, 16% are kitchen furniture, and 12% are storage holders & racks. 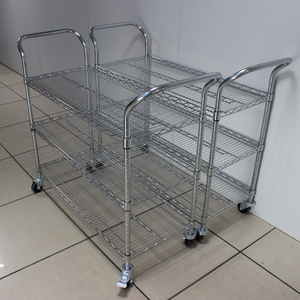 A wide variety of 3 tier trolley options are available to you, such as metal, plastic, and stainless steel. You can also choose from storage, tools, and industrial. As well as from platform, mesh, and roll container. 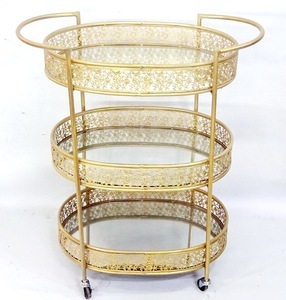 And whether 3 tier trolley is eco-friendly, or stocked. 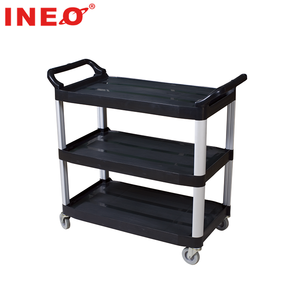 There are 3,040 3 tier trolley suppliers, mainly located in Asia. 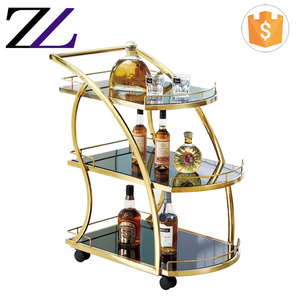 The top supplying countries are China (Mainland), Taiwan, and India, which supply 95%, 3%, and 1% of 3 tier trolley respectively. 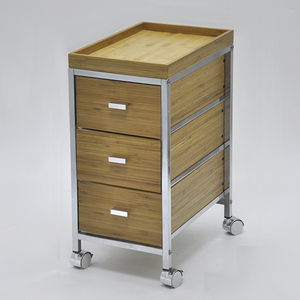  tier trolley products are most popular in North America, Southeast Asia, and Domestic Market. You can ensure product safety by selecting from certified suppliers, including 986 with ISO9001, 493 with ISO14001, and 417 with OHSAS18001 certification.